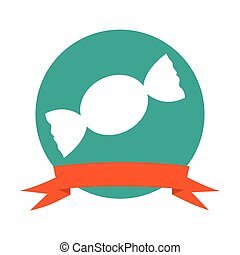 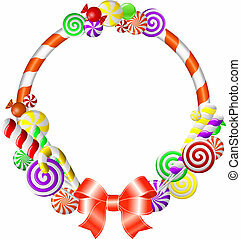 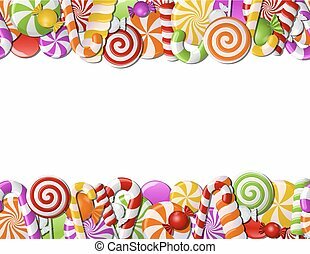 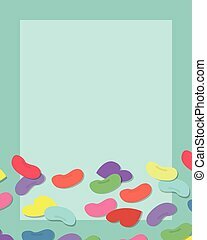 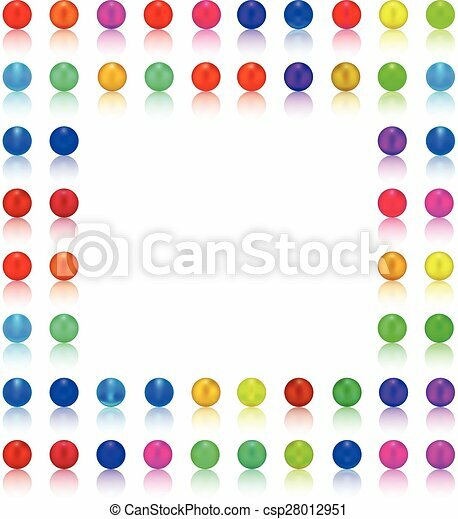 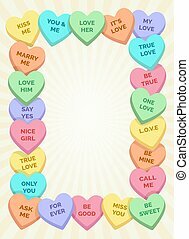 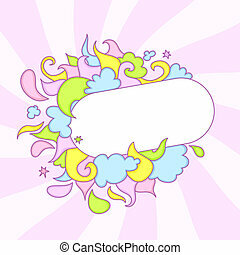 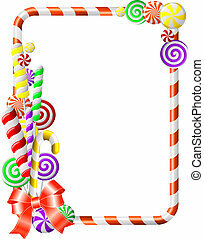 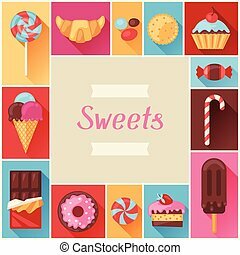 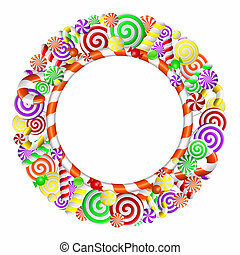 Colorful candy frame illustration vector with shadow reflex on white or pearl. 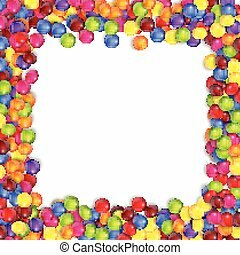 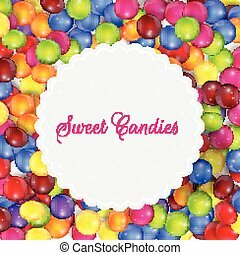 Colorful candy with frame of copyspace. 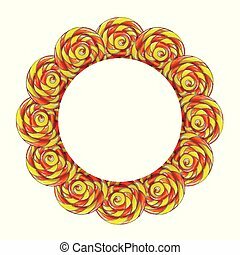 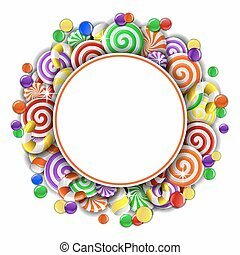 Circle frame made of colorful lollipop candy, cartoon vector illustration. 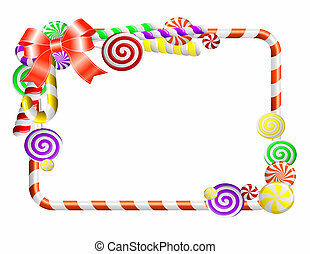 Frame with colorful various candy, sweets and cakes.